These cards were duplexed with 250GSM Rives BFK Grey paper, with a thin pin-stripe of Wausau Electric Blue cover weight paper sandwiched in the middle creating a unique custom effect. 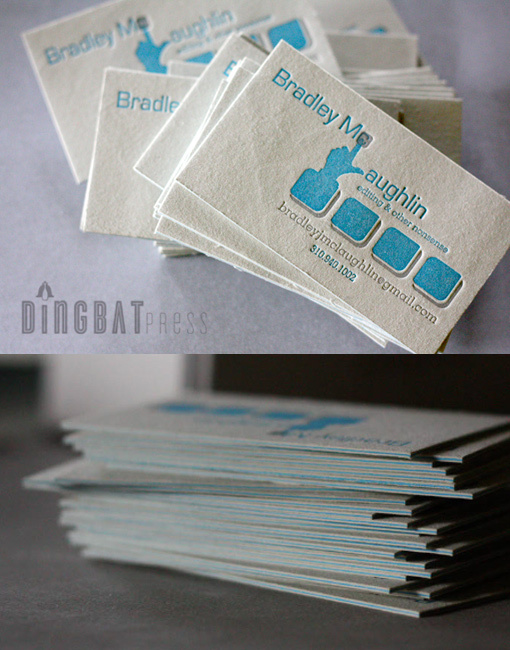 Designed and letterpress printed by Dingbat Press. 2/1 ink colors, with pantone match.